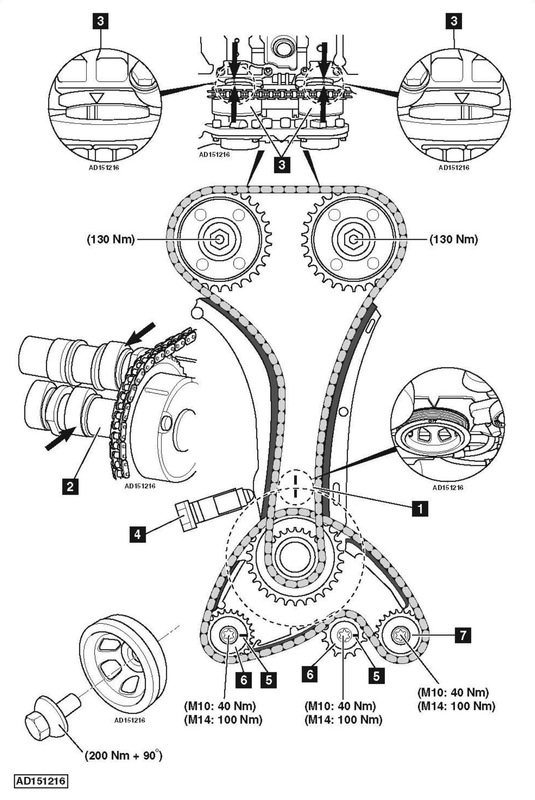 Mercedes-Benz E200 W212 1.8 2010 cambelt change instructions and replacement inteval. Full guide! Balancer shaft chain link kit – No.602589024000. Balancer shaft chain link installer die kit – No.271589026300. Camshaft holding tool 1 – No.271589006100. Camshaft holding tool 2 (271.820/860 engines) – No.271589006100. Chain tensioner drift – No.271589001500. Crankshaft holding tool – No.271589004000. Crankshaft pulley puller – No.000589883300. Flywheel/drive plate holding tool – No.602589004000. Tensioner rail wedge – No.271589003100. Timing chain link kit – No.271589096300. Timing chain link installer die kit 1 – No.271589016300. Timing chain link installer die kit 2 – No.271589056300. Timing chain to camshaft sprocket holder – No.271589014000. Ensure No.1 cylinder camshaft lobes are facing upwards  . Ensure timing marks on both camshafts aligned  . Camshaft rotation can be prevented by using camshaft holding tool. Install tensioner after repairs. Tightening torque: 40 Nm. Ensure grooves  on sprockets of balancer shafts  are horizontal and pointing towards guide sprocket  .